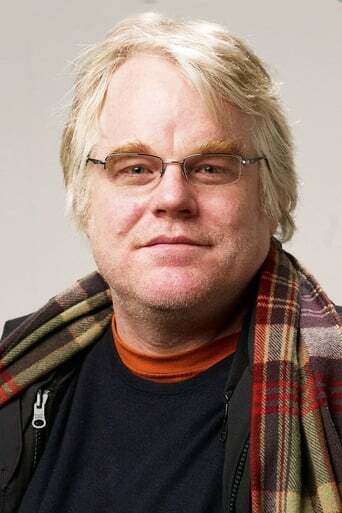 Philip Seymour Hoffman (July 23, 1967 – February 2, 2014) was an American actor and director. Hoffman began acting in television in 1991, and the following year started to appear in films. He gradually gained recognition for his supporting work in a series of notable films, including Scent of a Woman (1992), Twister (1996), Boogie Nights (1997), Happiness (1998), The Big Lebowski (1998), Magnolia (1999), The Talented Mr. Ripley (1999), Almost Famous (2000), 25th Hour (2002), Punch-Drunk Love (2002), Cold Mountain (2003), and Along Came Polly (2004). In 2005, Hoffman played the title role in the biographical film Capote (2005), for which he won multiple acting awards including an Academy Award for Best Actor. He received another two Academy Award nominations for his supporting work in Charlie Wilson's War (2007) and Doubt (2008). Other critically acclaimed films in recent years have included Before the Devil Knows You're Dead (2007) and The Savages (2007). In 2010, Hoffman made his feature film directorial debut with Jack Goes Boating‎. Hoffman is also an accomplished theater actor and director. He joined the LAByrinth Theater Company in 1995, and has directed and performed in numerous Off-Broadway productions. His performances in two Broadway plays led to two Tony Award nominations: one for Best Leading Actor in True West (2000), and another for Best Featured Actor in Long Day's Journey into Night (2003). Description above from the Wikipedia article Philip Seymour Hoffman, licensed under CC-BY-SA, full list of contributors on Wikipedia.